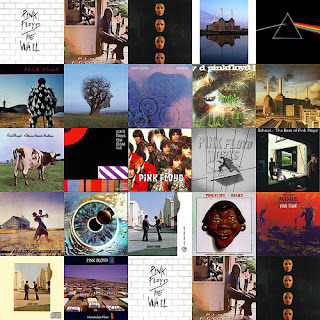 Pink Floyd out takes and demos from 1971 and 1972. There is plenty of Pink Floyd material around from this era, including studio out takes. I plan to feature a couple of live concerts from the seventies in due course, however decided to start with these out takes for one specific reason. The quality is really good, all mp3's are at 320kbps, and the journey from the original masters is a limited one, retaining much of the initial quality. I am personally fascinated by the first track 'On The Run' and where this piece of music may have originally gone, alas - as with all musical history from bands like Pink Floyd there remain so many 'what ifs'. I hate the expression 'back to basics'. I cannot think of another two piece band that generates such an impact (actually I am struggling to think of another two piece rock band as I write this - go on, shame me with the obvious). 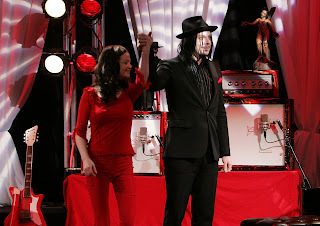 This is The White Stripes earlier in 2007, performing live for BBC Radio One, in front of an audience of very fortunate fans. Unfortunately there is a little bit of Radio One 'speak' early on, however once the band get going, its all good stuff.